From the author of Moneyball, the story of two exceptional psychologists whose friendship and work produced groundbreaking new theories about our perception of reality. I had to wonder, as I was reading The Undoing Project, whether Mr. Lewis would really respect his subjects’ doubts about experts or follow the imperative that any book on any problem must conclude with experts confidently solving the problem. Mr. Lewis passed the test. There is a brief mention of a few expert nudges to trick people into making decisions in their own interest on things like retirement savings, but the nudge approach correctly seems like small beer. In a world of overly certain predictions and policy prescriptions from consulting firms and think tanks to politicians and book authors, Mr. Lewis has given us a spectacular account of two great men who faced up to uncertainty and the limits of human reason. 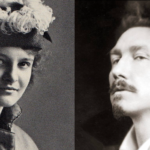 At its peak, the book combines intellectual rigor with complex portraiture. During its final pages, I was blinking back tears, hardly your typical reaction to a book about a pair of academic psychologists. The reason is simple. Mr. Lewis has written one hell of a love story, and a tragic one at that. The book is particularly good at capturing the agony of the one who loves the more ... this book could stand a bit of trimming, and readers should ready themselves for tougher meat than they might be expecting to chew ... 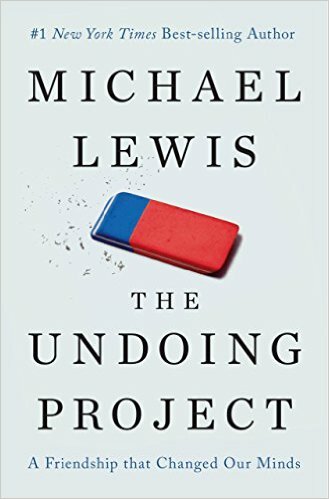 In The Undoing Project, Mr. Lewis has found the granddaddy of all stories about counterintuition, because Dr. Kahneman and Dr. Tversky did some of the most definitive research about just how majestically, fantastically unreliable our intuition can be. Our skepticism was misplaced. The book, titled The Undoing Project captivated both of us, even though we thought we knew most of the story—and even though the book is just what Lewis had said it would be, a book about Amos and Danny, two men who changed how people think about how people think. Lewis accomplishes this in his usual way, by telling fascinating stories about intriguing people, and leaving readers to make their own judgments about what lessons should be learned. What did you think of The Undoing Project: A Friendship That Changed Our Minds?